Santa House construction begins on November 8 on the Riverwalk, transforming a park pavilion into a magical place where Santa will welcome kids and listen to their wishes. As the holidays quickly approach, preparations are underway at the Naperville Park District to offer both new and traditional special events as opportunities for all ages to gather and celebrate this festive time of the year. Magical Ice Cream Social takes place Friday, November 9 from 5:30-6:30 p.m. at the Alfred Rubin Riverwalk Community Center at 305 W. Jackson Ave. A new event that debuted in 2017, Magical Ice Cream Social is for children ages 1-6 and includes an engaging performance by a princess and a snowman, ice cream sundaes and fun crafts to make. Registration is underway at www.napervilleparks.org. Children must be accompanied by an adult. Kids’ Night Out at Fort Hill Activity Center will feature “Gobble Gobble Fun” on Friday, November 16 from 6:00-9:00 p.m. Parents can drop their children off and enjoy a night out or some quiet time at home before the holidays. Additionally, the December 21 Kids’ Night Out, “Gingerbread Hunt,” includes favorite holiday activities like making Santa Hats, making a Gingerbread Man and decorating cookies. 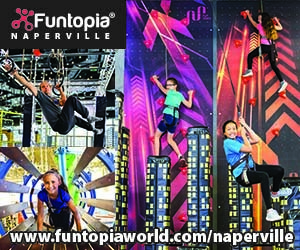 Register for either or both events at www.napervilleparks.org. Santa House, presented by Woody Buick GMC begins Friday, November 30 and ends Sunday, December 23. Located on the Naperville Riverwalk at Jackson Ave. and Webster St., Santa House is open to the public on weekends and Tuesday-Thursday December 18—20. Visiting Santa is free, with the option of purchasing photos with Santa at $8 each or $15 for two. Tuesday-Friday hours are 4:00-8:00 p.m. and Saturday and Sunday hours are 12:00-6:00 p.m. No advance reservations are needed during the public event hours. Families with children who have special needs are asked to register for a specific time at one of four Special Needs Nights at Santa House from 5:00-8:00 p.m. Mon., Dec. 3, Tues., Dec. 4, Wed., Dec. 5 or Thurs., Dec. 13. Online registration at https://www.napervilleparks.org/santahouse begins Thursday, November 8 at 9:00 a.m.
Advance reservations also are required for Pet Night, sponsored by Kriser’s Natural Pet, on December 10 from 4:00-8:00 p.m. and for Military and First Responders Night, sponsored by Operation Support Our Troops, on December 11 from 4:00-8:00 p.m.
“The Park District gratefully acknowledges the many generous sponsors and enthusiastic volunteers that support Santa House and make it a unique community event,” said Director of Recreation Brad Wilson. Another favorite Park District event, Skating with Santa, will take place on Saturday, December 1 from 12:00-1:00 p.m. at Rocket Ice Rink in Bolingbrook. Children will have the opportunity to skate with Santa, Anna and Elsa and enjoy hot chocolate. To register, visit www.napervilleparks.org. A fun, family event during the school holidays is Family Bingo and Pizza at 12:15 p.m. on Thursday, December 27 at the Alfred Rubin Riverwalk Community Center, 305 W. Jackson Ave. The event includes 12 games of Bingo, pizza and drinks, and prizes for both adults and children. 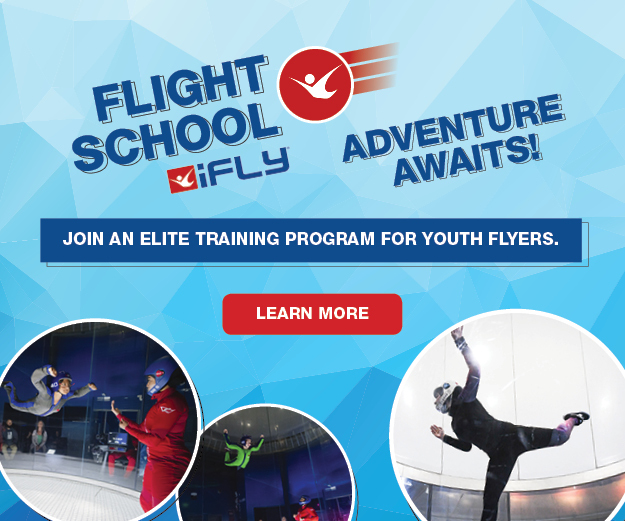 Register by December 21 for the early bird price of $11 per person for Naperville residents. Children ages preschool through high school may participate in the Park District’s Winter Break Camps December 26-28 and January 2-4, including a full day camp and special interest camps such as sports, arts, cooking and Lego engineering. Check the Winter Program Guide for details and register at www.napervilleparks.org. Capping off the holiday season, the Park District will host the annual Countdown at the Carillon on New Year’s Eve, Monday, December 31, including an early family countdown at 6:00 p.m. led by Dolly McCarthy and a traditional midnight countdown to the New Year. The early countdown festivities start at 5:30 p.m. with Carillon music for children and refreshments provided while supplies last. Festivities will begin for the traditional countdown at 11:15 p.m. with Carillon music.